September 11 is a day to remember, to honor, and to learn. And each one of those exercises happened during the Powell 9/11 memorial ceremony on Monday morning at the Greater Powell Veterans Memorial. Addressing the youth — most of whom were from nearby Village Academy — in the audience, Carver said that the tragedy of 16 years ago is fast becoming just another event in the annals of history. In Carver’s opinion, what made New York City a prime target for terrorists in 2001 went much deeper than political ideology. Praising New York City’s first responders, Carver noted that they accomplished an unprecedented feat before the twin towers fell 16 years ago. Carver concluded his remarks by telling the crowd that as important as it is to remember those who sacrificed themselves on 9/11, it’s equally important to be an active, contributing member of the community. Students from Village Academy — the vast majority of whom were born after Sept. 11, 2001 — played a key role in the morning’s events. Four students from the school’s Theatre Ensemble recited the Maya Angelou poem “Still I Rise.” The middle school choir and vocal ensemble and the middle and upper school band each performed during the ceremony. Christopher Carver, former supervising dispatcher for the Fire Department of New York, was the keynote speaker for the City of Powell and Liberty Township 9/11 memorial ceremony on Monday at the Greater Powell Veterans Memorial. 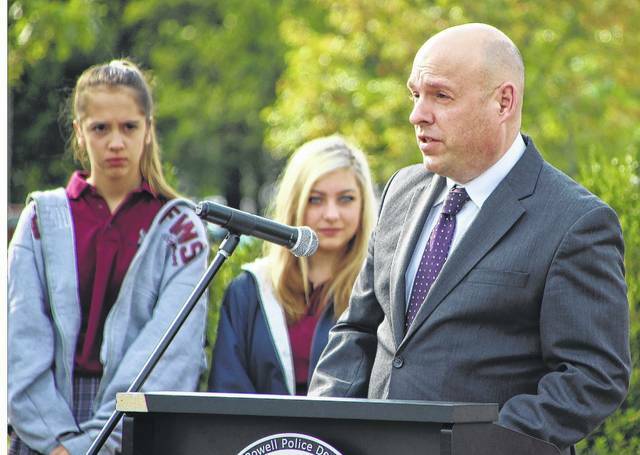 https://www.delgazette.com/wp-content/uploads/sites/40/2017/09/web1_CHRISTOPHER-CARVER-FDNY-RET.jpgChristopher Carver, former supervising dispatcher for the Fire Department of New York, was the keynote speaker for the City of Powell and Liberty Township 9/11 memorial ceremony on Monday at the Greater Powell Veterans Memorial. Students from Village Academy bow their heads in prayer during the benediction of the City of Powell and Liberty Township 9/11 memorial ceremony on Monday at the Greater Powell Veterans Memorial. The vast majority of these children weren’t born when the tragic events of Sept. 11, 2001 occurred in New York City, Washington D.C., and Shanksville, Pennsylvania. 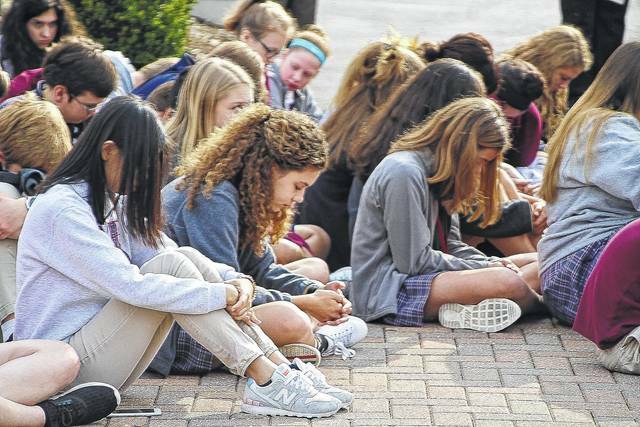 https://www.delgazette.com/wp-content/uploads/sites/40/2017/09/web1_POWELL911-02-091217_1.jpgStudents from Village Academy bow their heads in prayer during the benediction of the City of Powell and Liberty Township 9/11 memorial ceremony on Monday at the Greater Powell Veterans Memorial. The vast majority of these children weren’t born when the tragic events of Sept. 11, 2001 occurred in New York City, Washington D.C., and Shanksville, Pennsylvania.